Short version: The Snoop Camera Messenger Bag is clearly the result of a trendy Timbuk2 messenger bag and boring camera case joining together in beautiful harmony. This is their glorious offspring. Honestly, this form factor isn’t new. 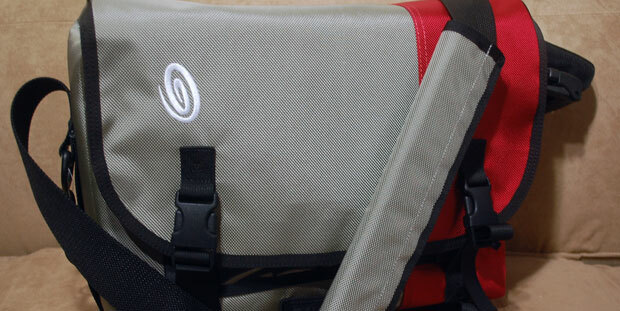 There are a good amount of camera messenger bags, but this happens to be Timbuk2’s first and offers all quirky style and advantages generally associated with the brand. But it’s just a camera messenger bag when it comes right down to it. That’s not a bad thing, though. The bag’s primary compartment houses a removable padded camera compartment, complete with the standard-issue velcro dividers. The padding is sufficient, but the storage is a bit lacking. I could only fit my relatively small Nikon D40 DSLR with a lens attached, a speedlight, and another lens in this section. A larger DSLR would fit as well, but it would be a very tight fit with additional gear. There’s even perhaps room for an ultraportable notebook behind the camera compartment, but you have to sacrifice carrying camera gear for the notebook’s charger. The bag’s small size is really the only potential downside. But perhaps you’re not carrying a Ritz Camera Store with you. It would be just fine then. There’s a series of small pockets on the front of the bag under the main flap. There’s not much as way of compartmentalized organization, but these pockets are just fine for a wallet, keys, or extra memory cards. Everything else is stellar. The construction is top notch. The material is tough but yet a bit classy. It’s a good bag as long as you do not require lots of storage room for your camera gear. 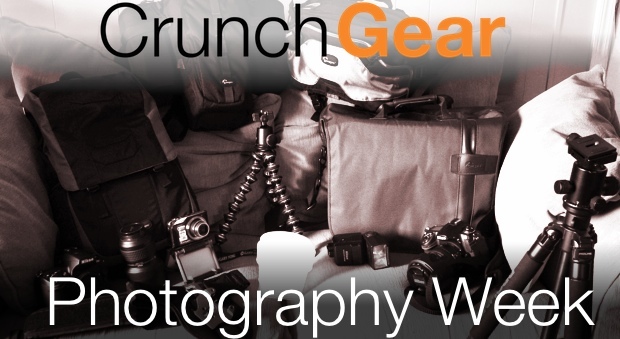 This week is Photography Week at CrunchGear! You can find the rest of our posts here.